In ii) B) should I consider that it only refers to routes involving Mainland China? 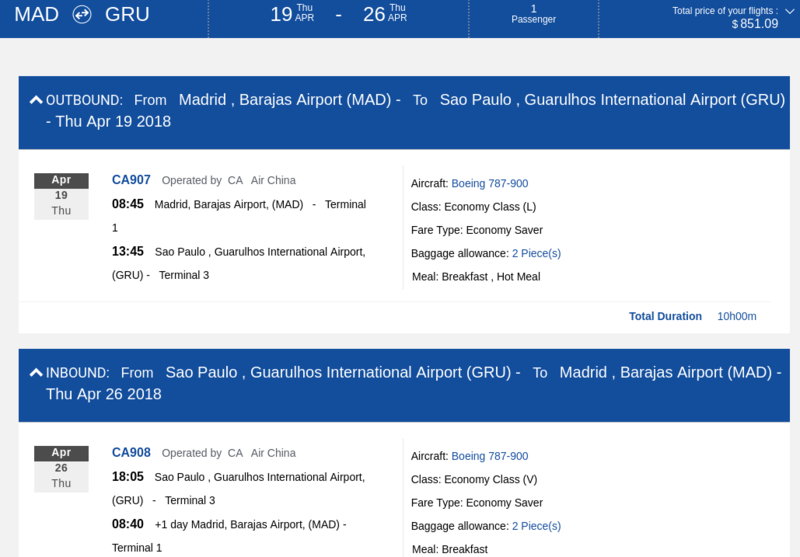 The wording is somewhat ambiguous, however I believe all flights to and from Brazil require that two pieces of check-in luggage are allowed. See: Why is the baggage allowance on flights to/from Brazil more generous? I believe you are only entitled to one piece of luggage. ii) B is quite explicit about it: flight from a country other than China to Americas via China (defined as a sixth freedom flight), which is not the case here, you are flying from one country other than China to another country other than China (a fifth freedom flight). Not sure if Air China do this, but many airlines make your actual allowance quite explicit on their “manage my booking” pages (usually with an option to buy more), so I would recommend you check that. Not the answer you're looking for? Browse other questions tagged air-travel luggage air-china or ask your own question.